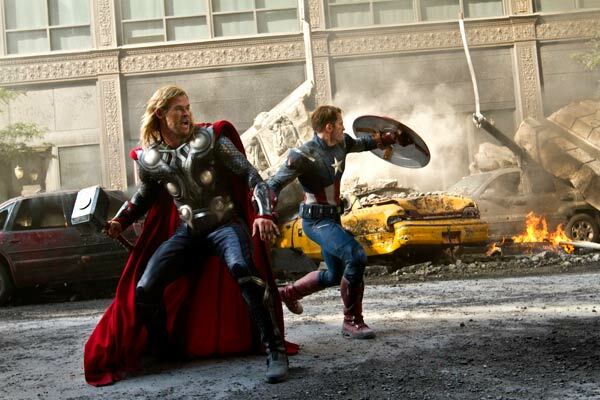 Photo: Film Frame ©2011 Marvel. 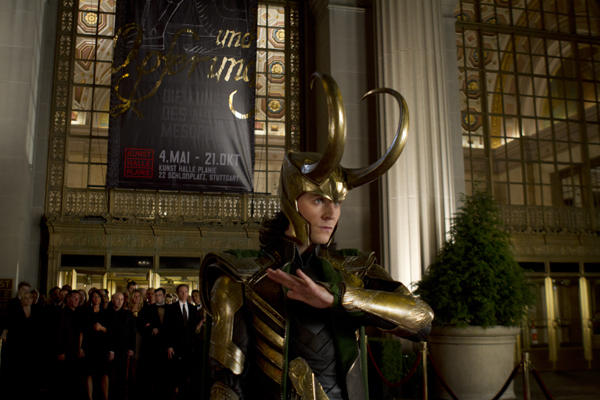 Photo by Zade Rosenthal ©2011 Marvel. All Rights Reserved. 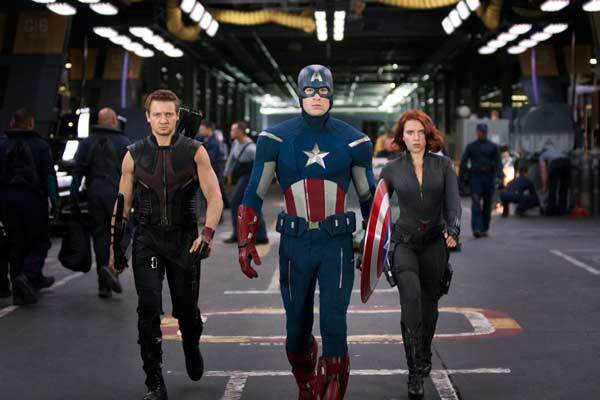 Photo by Zade Rosenthal © 2011 Marvel. All Rights Reserved. 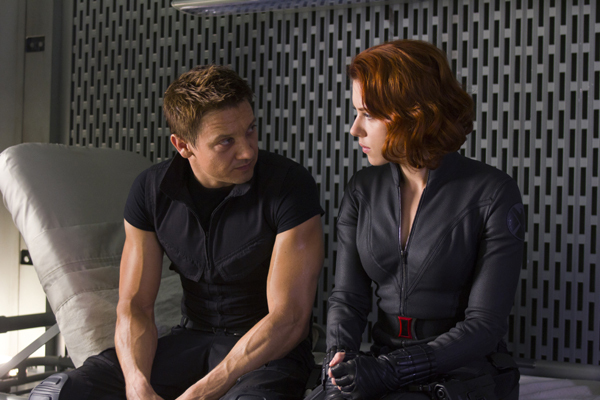 Hawkeye [Jeremy Renner], Captain America [Chris Evans] & Black Widow [Scarlett Johansson]. 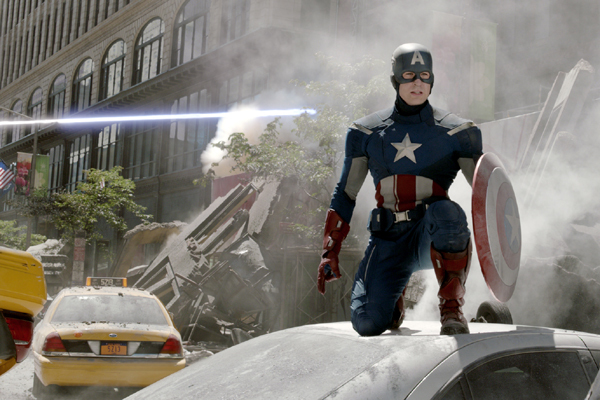 Film Frame ©2011 Marvel. All Rights Reserved. 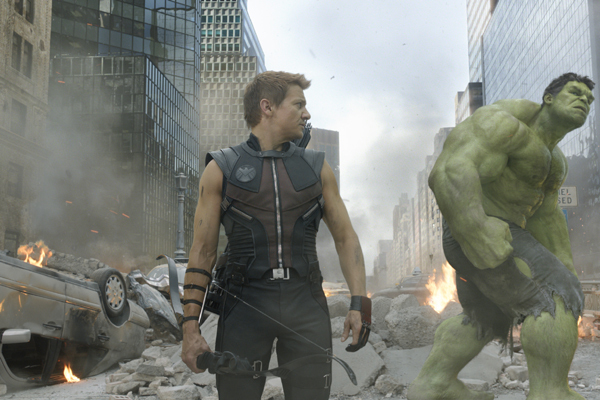 Film Frame©2011 Marvel. All Rights Reserved. 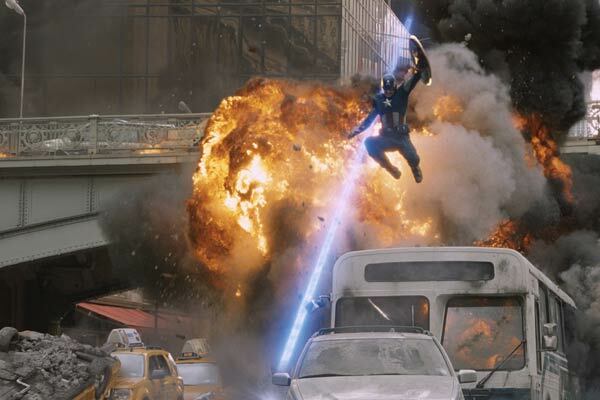 Film Frame © 2011 Marvel. All Rights Reserved. 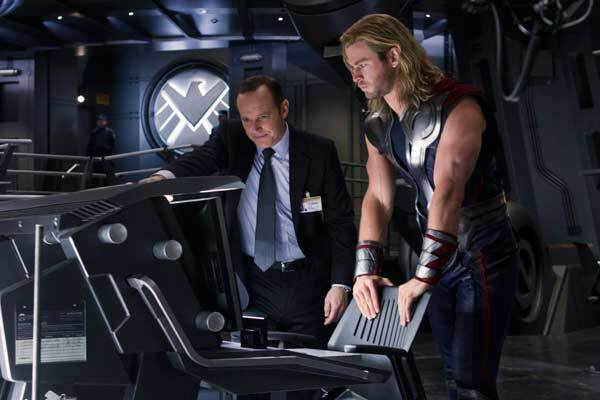 Director of the film THE AVENGERS, Josh Whedon, called upon another group of remarkable people to help bring this world of Marvel comics to life, including visionary Production Designer James Chinlund and Oscar-winning Set Decorator Victor J. Zolfo SDSA. Zolfo’s experience on futuristic action films such as REAL STEEL and TERMINATOR SALVATION, slick escapades like MR & MRS SMITH, epic scifi as in THE DAY AFTER TOMORROW, and contemporary period pieces from ZODIAC to THE SOCIAL NETWORK, along with his multi-award-winning work on THE CURIOUS CASE OF BENJAMIN BUTTON, gave him the fortitude to jump into and handle the exigencies and innumerable details, from giant to minute, in the making of this superheroes team origin film. 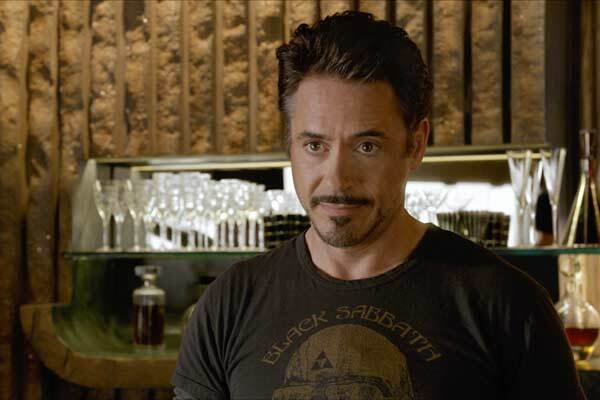 SET DECOR: Prior to filming, Executive Producer Jon Favreau [who also produced/directed the IRON MAN hits] stated, "It's going to be hard… because Iron Man is very much a tech-based hero, and then with AVENGERS you're going to be introducing some supernatural aspects because of Thor… Mixing the two of those works very well in the comic books, but it's going to take a lot of thoughtfulness to make that all work and not blow the reality that we've created." Set Decorator Victor J. Zolfo SDSA: That basically describes our approach to the set dressing as well. What was fun, yet surprisingly challenging, was blending the different visual worlds inhabited by each of the heroes into one cohesive and consistent universe. I was always very conscious of the scale of the set dressing and furnishing relative to each character as to neither overpower nor diminish them. 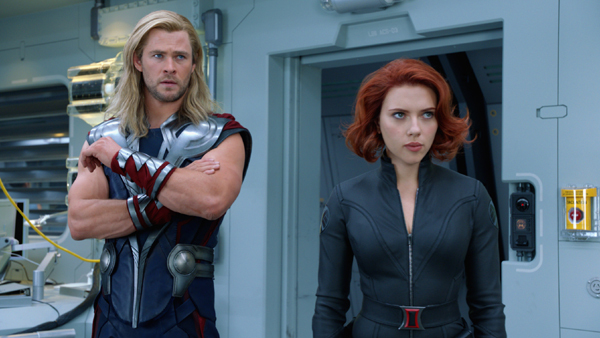 Director Joss Whedon says what drew him to the movie is… “I love how these people shouldn't be in the same room, let alone on the same team—and that is the definition of family." This is illustrated in the environments where there is heavy interaction between our heroes…there is often a good deal of space around them, because not only shouldn’t they be in the same room for intellectual reasons, but it could also physically become awkward. We conceived the scale of the furniture, the lab tables, even the placement of cars on the street to harmonize these interactions. James Chinlund is a visionary designer who was able to visually embrace all the challenges of creating a believable-yet-comic-book reality where all these characters could co-exist. The images and feeling James had created were so seductive and thrilling - such an epic scale and sheer volume of set dressing – it was very exciting to get involved in it all. He allowed me to explore and consider the character along with him, which helped me tremendously in finding my way with these characters and motivating their environments. 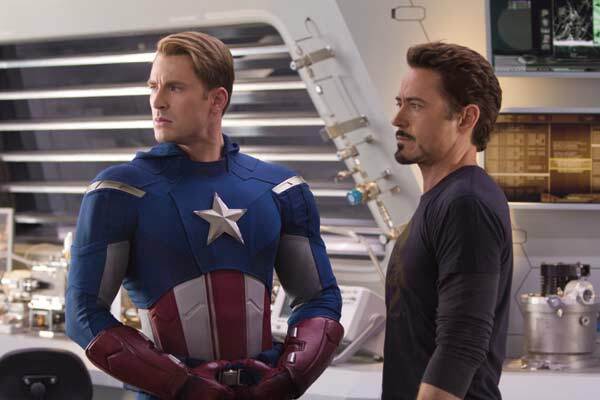 Were set elements from the prior films [IRON MAN, THOR, CAPTAIN AMERICA] required to be brought forward? James and Joss saw an opportunity to re-invent some of the environments seen in previous films, and to introduce many new ones, so we really weren’t tied to any previous visual style. 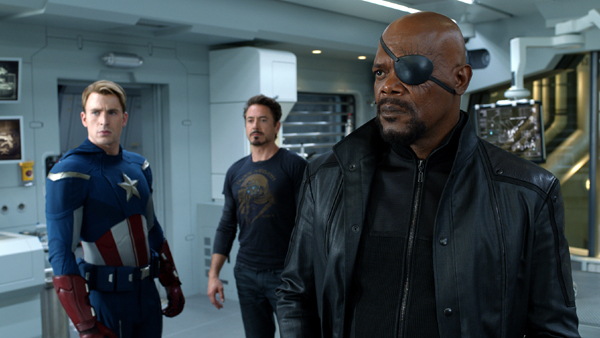 We were starting from scratch with Tony Stark, after his Malibu home was destroyed in IRON MAN 2! 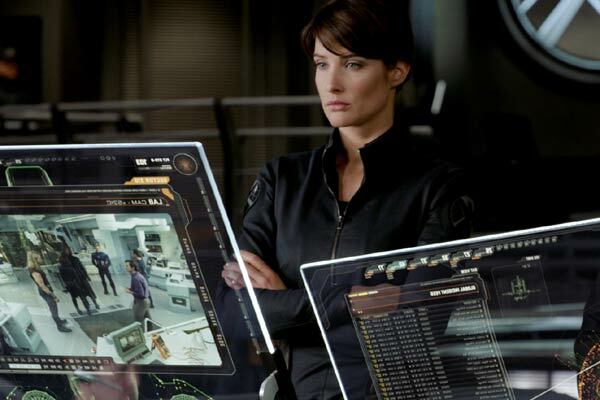 Also, we have never seen the helicarrier before, so all the labs and below decks of the ship were ours to create. The MARVEL ULTIMATES comics from 2002-2005 had many interesting frames that we took as inspiration. Sets often reveal character, offer an instant-read backstory. 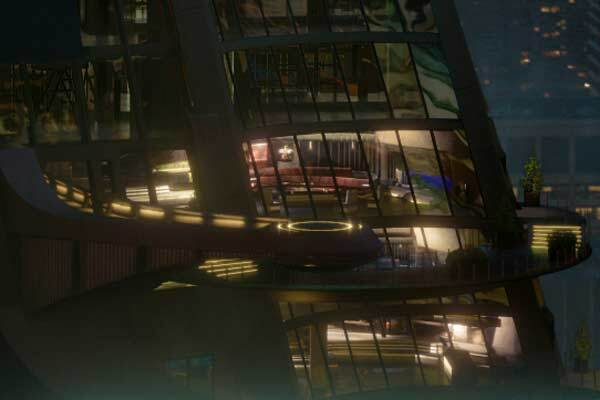 We see that in the sets Cap’s Gym, Stark Tower NYC and Dr. Banner’s India… Please tell us about each of those, and what we learn about the characters from the few moments we are in these sets! 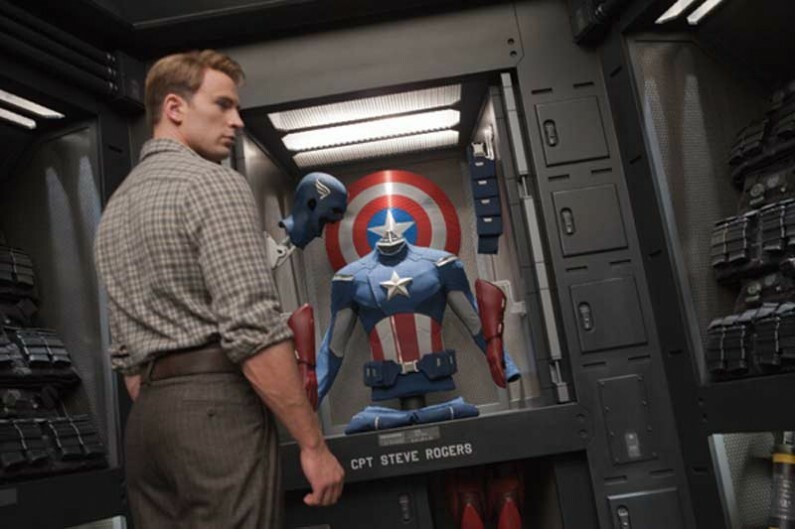 Cap…Captain America…newly revived after having been frozen in the ice for 70 years is surrounded by things familiar to him, and it gave a clear direction on how to describe his world. We were motivated to give Steve’s environments a slightly retro-40’s look, so that Cap would more easily assimilate into his new world. His apartment was peppered with framed pictures of his sweetheart Peggy, vintage lighting and furniture, and small touches of Americana. 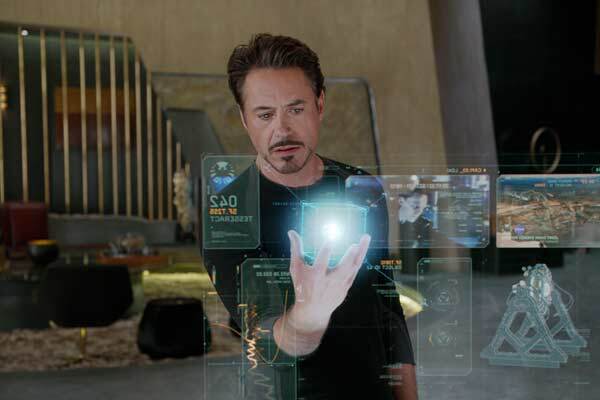 Our goal here was to elevate Tony Stark, the world’s richest man, to the next level, literally and figuratively. The decision was made to incorporate a work area into his living space, so that the two sides of Tony (business & pleasure) could exist comfortably together. The gigantic light fixture over the sunken seating area was a massive fabricated sculpture that took us, and the grips & electrics, three days to assemble, light and hang from the perms—a fixture fit for Tony Stark! Creating Calcutta in an empty train yard in Albuquerque was no small feat – I had three shipping containers of set dressing shipped in from India to create the Calcutta market the little girl runs through to find Dr. Banner. Our Calcutta interiors were very realistic and extremely colorful. Dr. Banner has found his emotional “center” in this culture, and we wanted it humanizing and believable while still having an air of mystery about it. The interiors of the lab were shot near Sandusky, Ohio, at NASA’s Glenn Research Center/Plum Brook Station. 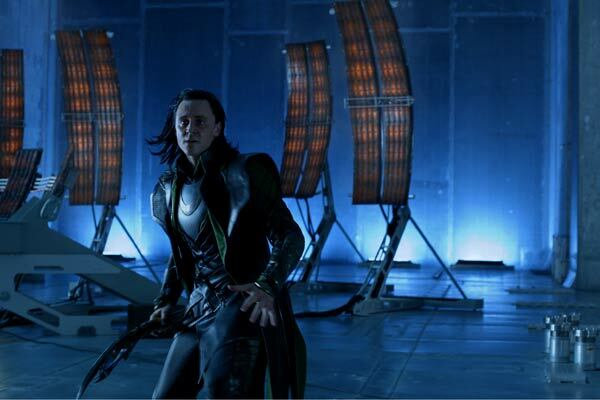 The massive space power facility was a highly sensitive location, so all of Dr. Selvig’s [Stellan Skarsgård] workstations and computers, the cube device and Loki’s platform all had to be dressed in two days! We worked pretty much 24/7 through the weekend to complete this set. The exteriors of the SHIELD facility, which are seen in the evacuation collapsing through the ground, were shot at an architectural site, a new high school in New Mexico. We executed a tremendous amount of augmentation to make it SHIELD, including a full-scale helicopter pad in the middle of their quad. We needed very heavy-duty rigs to hold our lighting and set dressing in place, as the rotor wash from the choppers was crazy. 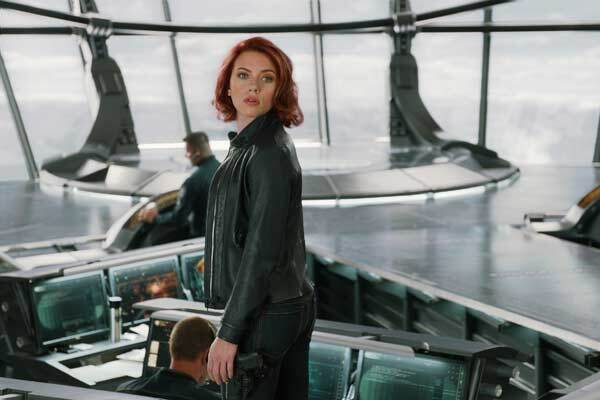 The bridge of the helicarrier is one of the largest single-room stage sets I have ever worked on. 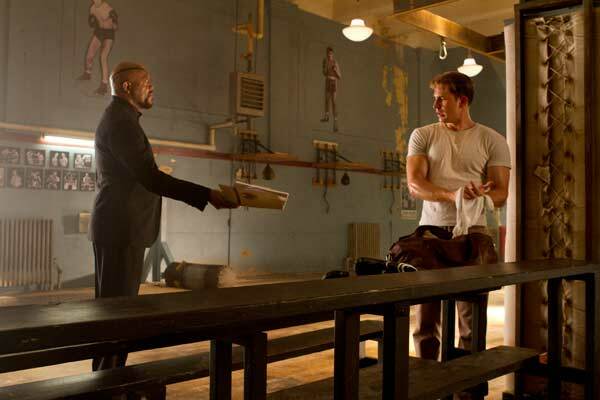 It was the film’s most muscular animated set because so much action takes place there. I had over 150 real video screens at the workstations surrounding the room. There was an incredible network of wiring and cable beneath the set floor, which was many feet off the stage floor. 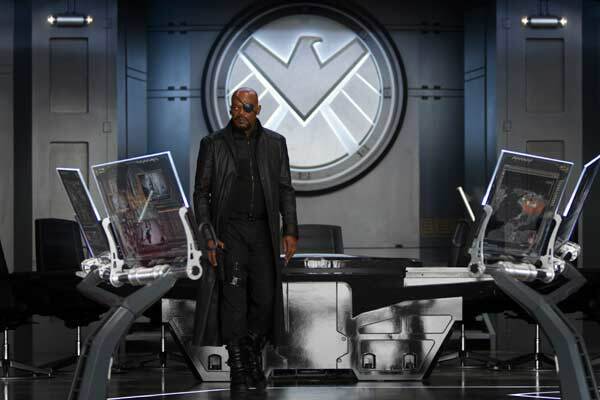 The Avengers’ conference table, which also becomes Director Nick Fury’s desk, was a fantastic centerpiece for our heroes…fabricated by our good friends at Studio Art & Technology. All kinds of bells and whistles were built into it, including accent and practical light sources, laser-etched graphics, ventilation, etc. It broke into three sections and took seven people to move! 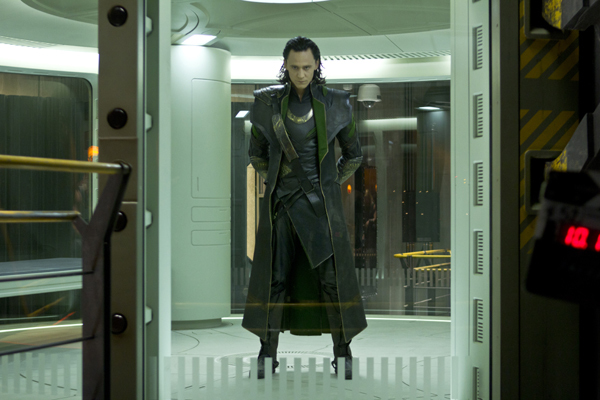 In the storyline, the chamber that became Loki’s prison was built by SHIELD to contain The Hulk, should he appear, and is housed in the bowels of the helicarrier so it could be dropped into space, should the need arise. This allowed us to see a grungier level of the ship and, within it, have this lovely glowing chamber full of soft surfaces, contrastingly sanitary and pristine. All of the areas of the ship tie together but have distinctly different utilitarian purposes – this was a beautifully realized set built by Construction Coordinator John Hoskins and his amazing team of craftspeople. The gorgeous finishes were top-notch throughout as well, thanks to Paint Supervisor Kent Jones and his fantastic scenic artists. My favorite set on the ship was the lab shared by Dr. Banner and Tony Stark. We scoured both the internet and New Mexico’s supply of metal recyclers to acquire many unusual pieces of discarded technology scrap. We also molded a large variety of shapes of pipe and machinery that we used in structured repetition to provide depth and visual interest. It really helped us in keeping with our graphic, comic style. 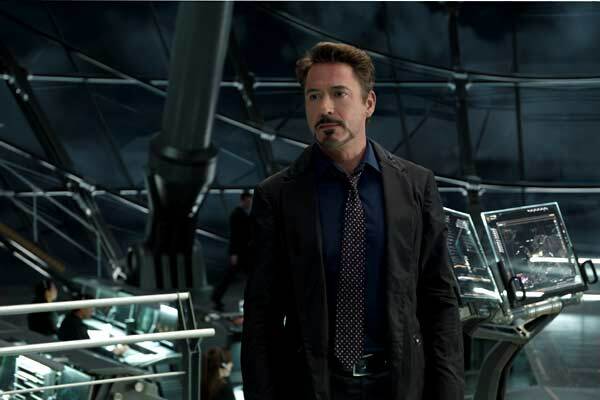 Engine 3, the destroyed engine that Cap and Iron Man have to get going again when the ship is attacked, was a huge interior stage set built within a green screen environment. It was basically a three-story tower built to look like a huge section had been ripped away by a blast. All of the set dressing…pipes, ducts, equipment…also had to have rough, twisted and broken edges, and scenic paint finishes. It took a week to install everything, using condor lifts and scaffolding. The sick bay on the ship was another example of creating a unique space in the ship that related to everything else, yet had a distinct flavor all its own. As in most of the sets, you aren’t told where you are. So, we often tried to describe an environment the way you would in a comic book frame—a few simple elements that immediately told the story…bunk, light fixture, oxygen…then graphically tie them all together. This sequence was shot in three cities and on multiple sets and locations. We re-created the cast-bronze street lamps, signage, and electrical dressing for three blocks of the Grand Central Station/Park Avenue viaduct – all on stage in New Mexico. In Cleveland, we dressed several blocks of the downtown quarter as the area around Grand Central Station and then…incredibly…they allowed us to blow it up! The city and the people were amazing and very patient through the whole complicated process… sometimes it felt like the whole city had turned out to watch us film! 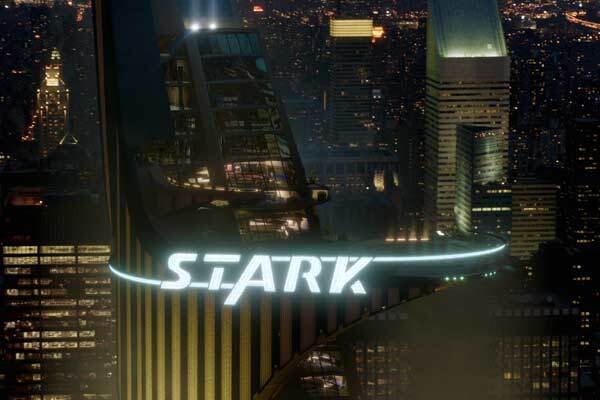 At the end of production, we actually went to New York and shot right outside of Grand Central for the base of Stark Tower and more intimate shots of the actual locations: Grand Central, Park Avenue, Central Park. We built many of the office sets for destruction on stages in New Mexico. When on location, we used storefronts where we could look out onto the action on the streets. The bank where Captain America saves the crowd of terrified New Yorkers was a beautiful but closed historic bank building in Cleveland…another fantastic location. This was shot in a literally crumbling old refrigerator warehouse in Ohio. It was a lot of fun coming up with the Russian contraband and stolen art! We also had to hoist a gigantic chandelier up to the third floor catwalk where we were shooting…that was a nail-biter moment. We created the museum interior in the rotunda of Cleveland’s lovely city hall. We only had the day of the shoot to get it ready, so it was controlled chaos loading in the museum dressing, giant florals, the lovely items sculpted in our shop, and banners & graphics. Also in Cleveland, but across town! We did a rather large dress outside the museum, including a brilliant neon marquis designed by Production Designer James Chinlund. The crowd is subdued and intimidated by the evil Loki [Tom Hiddleston] in a sort of Beergarten-in-the-square that we created with little beverage stalls and big umbrellas…but the crowd was so large, you can only catch glimpses of this in the finished film. Whedon reveals, "Originally we were supposed to be in Los Angeles, then for a short period we were supposed to be in New York, and then somehow we ended up in Albuquerque." You also filmed in Ohio and Pennsylvania! Comment? Let’s keep the work in California! While our host cities were terrific and the local crews worked very hard, it’s just very, very difficult to do large-scale design and fabrication shows outside of Los Angeles or London. The technology that we are now using every day in the art departments, construction and special effects…the infrastructure for many of these specialty crafts…is here in Los Angeles. I did quite a bit of traveling and supervising of projects and set dressing that we were building or shopping elsewhere. 3D…The film was converted to 3D in post. Did anything have to be re-shot because of this? We weren’t shooting in 3D, but we knew it was going to go through the conversion. Therefore, we dressed the sets mindful of the 3D factor. I tended to layer the foreground, middle-ground and background with objects for Cinematographer Seamus McGarvey and Joss to compose the shots around. 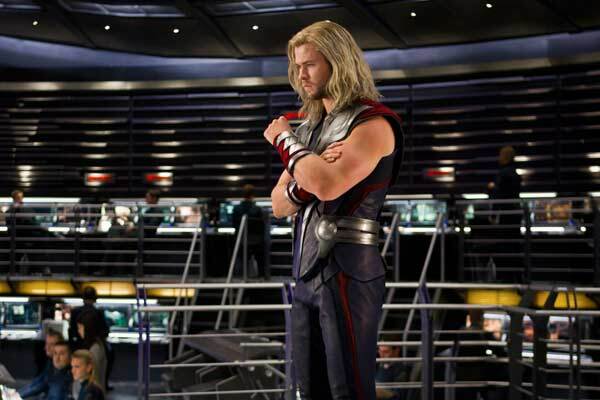 What tip would you give to other set decorators doing $1billion+ blockbuster films?! Be very flexible, remain calm, and don’t lose sight of the details in all the chaos! How large of a crew did you have? Actually my crew was not that big considering the scale of the project. 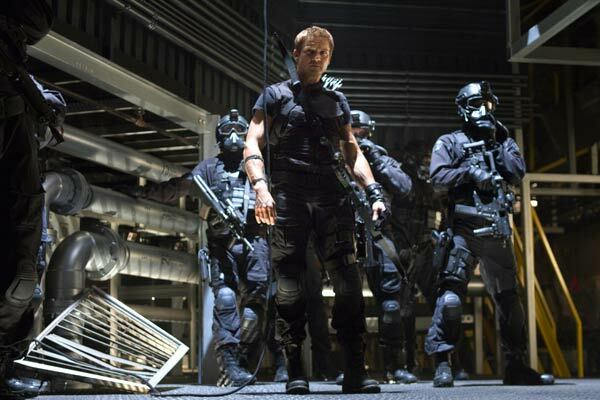 I’d say it was about average for any big budget action picture these days. I like to keep my group tight, otherwise you run the risk of losing touch with everything that’s happening. We assume you had more than one crew at a time…could you talk about managing all the aspects of this? While we were starting to transition from Albuquerque to Cleveland, I did hire a second lead man and dressing crew to help me prep the Midwest. My lead man John Millard stayed in Albuquerque and folded into Ohio once New Mexico was wrapping, and Jason Bedig was the lead man for some of the massive sets in Ohio. We could not have done it any other way, as the schedule was so ambitious there simply wasn’t the time to execute it all simultaneously without adding a second team. Thank goodness production not only understood but supported us in all our efforts! 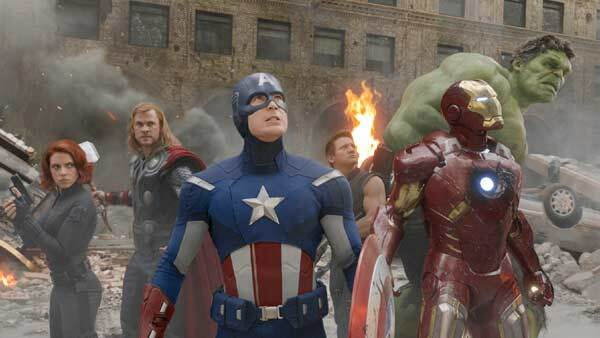 "…With a script that never forgets its heroes' humanity and no shortage of super powered set pieces, THE AVENGERS lives up to its hype — and raises the bar for Marvel at the movies."